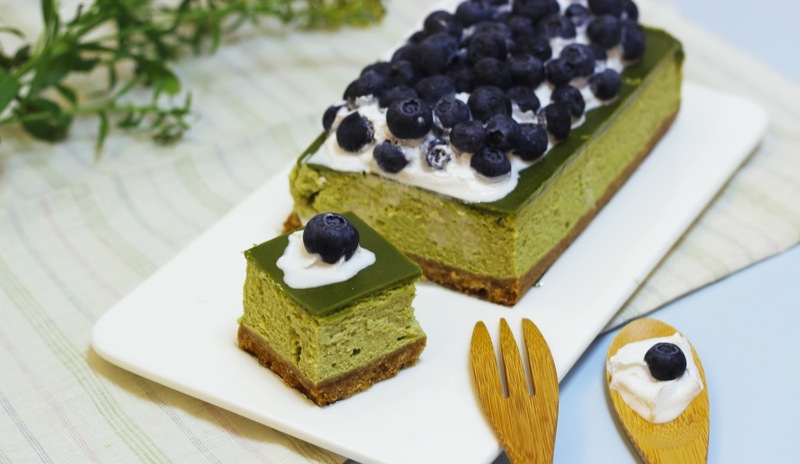 Cheesecake flavoured with Matcha Green tea~ Yum! Matcha is one of the highest grade of green tea. You mostly likely will find them in a fine powder form. Can I use other type of yogurt instead of Greek yogurt? Can I use refrigerate instead of bake? Does it turn out the same? Jacqueline, You cannot, this recipe is specifically for a baked cheesecake, it has raw eggs in it and have to be baked in order to set the cake. Refrigerating it will not turn out the same at all. Baked cheesecakes have a more dense/layered texture to it and usually refrigerated cheesecakes are more creamy. Oh okay. Unless I used the no bake cheesecake but I add in the matcha powder to make it as green tea ice cream cheesecake is it? Does it work this way? If you want a refrigerated cheesecake, you will have to use a refrigerated recipe. But if you are straight up putting matcha powder into our no bake nutella cheesecake recipe would not work. The Nutella would be to strong and overpower the green tea flavour and if you omit the nutella, the cake would not be stable enough to set the cake. When it comes to baking the cheese cake do you water bake or just plain bake the cheese cake? And what is the size pan you use in your video? What are the dimensions of your baking pan? I have an 8" round springform and was wondering if I need to double the recipe. Thanks! The dimensions of the pan is measured 18.5cm (L) x 9cm(W) x 4cm (H). Hi, can I substitute the white chocolate to dark chocolate instead? Thank you. Hi, did you put water too in the pan when you bake it? Thank you. What size of your rectangle mold? If I were to use a round mold, what size of a pan would you suggest I use? Thank you so much! if I were to use a 6 inch round mold, what would the height be for that mold? If I use an 8 inch round pan, how long would I bake it? Thank you so much for your help! The molds should be at least 4cm in height to fit everything. As for the baking time for the 8 inch round, I would recommend starting at 45 min and check the cake and see if the cake is cooked. There should only be a slight wobble in the middle of the cake before removing from the oven :) If 45min is not done, check every 10 minutes until the cake it cooked. Hi. What kind of butter did you use -- salted or unsalted? Thank you. Couldnt find Greek Yogurt. I bought an organic yogurt instead. I've read some of your answers about using yogurt, and yeah I just hope this will do. May i ask how many days this recipe lasts? And do you know how much calories this recipe has? I am the only one who loves to eat cakes in this household �� many thanks.. Your cheesecake looks yummy! I would like to try making it in the mini version (maybe medium cupcake size). Have you made them in that size before? Do you know how many mini cheesecakes you can get and how long to bake them? Thanks in advance! can i use a parchment paper instead? okay thanks! i already did. thanks for this yummy dessert! I tried this receipe of yours before and its deliciously yummy! However when I do it again yesterday, my glaze keep having curdle not once but twice. As I look through the receipe again, I realised i might do it the wrong way. 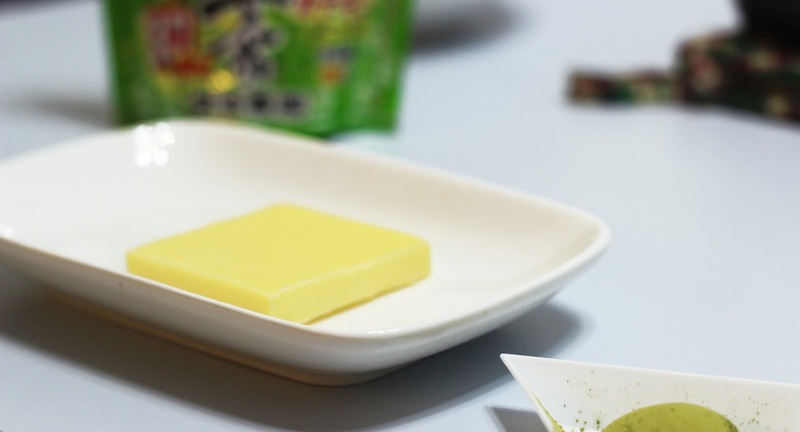 Does it make any difference if I melt both butter and white at the same time then I mix the matcha powder into the mixture instead? HI, can I use a 6inch round pan? Is it the same as yours? Can I still use the same amount of ingredients as yours for 6inch round? Yes, it will just result in a slightly shorter cake. Hi there. Thanks for your video and recipe. I am planning on making it for a church group this weekend. I have a question, though: I see that this is all for 5 servings...if I want to make a bigger cheesecake, apart from increasing the amounts, should I also increase the baking time/temperature? The baking temperature should not be altered, unless you are making a giant one then you may want to lower the temperature. But assuming you are baking these cakes in 8 inch - 12 inch pan, altering the temperature won't be necessary. About the baking time, I would recommend adding 15 min to each extra batch. For example, you need 2 batches to fill an 8 inch round, as the recipe says 30 min, so you add 15 to the 30 min = 45 min. Keep an eye out to check the cake and see if the cake is cooked. There should only be a slight wobble in the middle of the cake before removing from the oven :) If 45min is not done, check every 10 minutes until the cake it cooked. 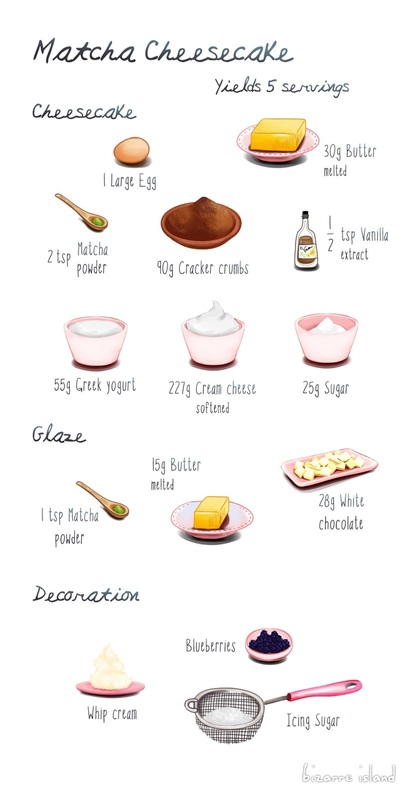 Such cute recipe, love it. Yes, for a 20 cm round, go ahead and double the recipe. As for the baking time, I would recommend starting at 45 min and check the cake and see if the cake is cooked. There should only be a slight wobble in the middle of the cake before removing from the oven :) If 45min is not done, check every 10 minutes until the cake it cooked. how long we will bake the cake and which temperature is suitable ? Hi, I used a greek style yogurt for this recipe but the batter was a little runny. (Maybe I got the wrong type of yogurt) If so, will cheesecake still turn out fine if I refrigerate it? If it is set when it comes out of the oven , it should be fine, but if it is still runny out of the oven refrigerating it wouldn't help it set. Sure, you can substitute both. If you use sour cream, the fat content will be higher. I tried your recipe twice using a 8 inches round pan and double the recipe amount in order to get the height of the cake. However, in both times that I tried, the cake seems short (does not look like the cake in your photo). What could be not right that I am doing? Hi! I found your channel on YouTube and I'm so glad I did because all your recipes look amazing, especially the matcha ones - big matcha fan right here haha! I'm planning to make this tomorrow but I just have one question: my rectangular pan's dimensions are around 1.5 cm bigger than yours (both length and width) so I was wondering if I need to make any adjustments, like bake time or amount of ingredients? It would be great if you could help. Without altering the ingredient amounts, your final results of the cake will be a bit shorter than usual, then I would recommend baking it for only 20-25 min. If you want to alter the amount of ingredients, use 1.25x of the recipe and bake as the recipe calls for. Hope this helps!